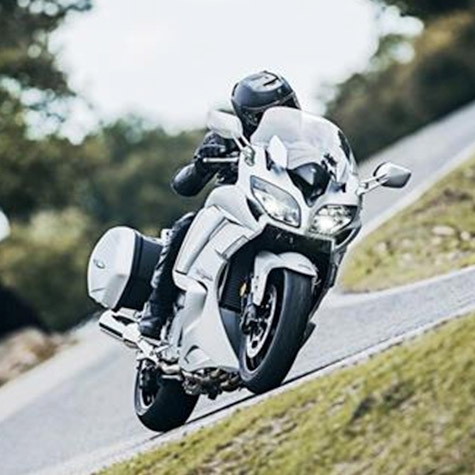 The FJR1300 models are now fitted with an all-new 6-speed transmission that gives increased acceleration together with reduced rpm during high speed top gear cruising. The result is more dynamic running performance with a greater emphasis on the bike's sports character, together with a more comfortable and relaxing riding experience. Another significant change for 2016 is the use of new A&S clutch that gives smoother downshifts for improved chassis stability when decelerating, to give more enjoyable corner entry on twisty roads - while the new lower rate clutch springs give a lighter and easier clutch lever action for reduced effort on the part of the rider. All new LED lighting at the front and rear enhances the look and feel of all the FJR models - whilst new front cornering lights on the FJR1300AE/AS improve the night time riding capabilities. And with their refined instrumentation and a new Matt Silver colour option, the latest generation of FJR models continues to offer sophisticated style with high levels of functionality that look sure to be appreciated by bike's loyal followers.